Timothy & Jade - After many attempts to back him Timothy was retired as he deemed dangerous to ride. This photo was taken 4 months into his training with Jade. 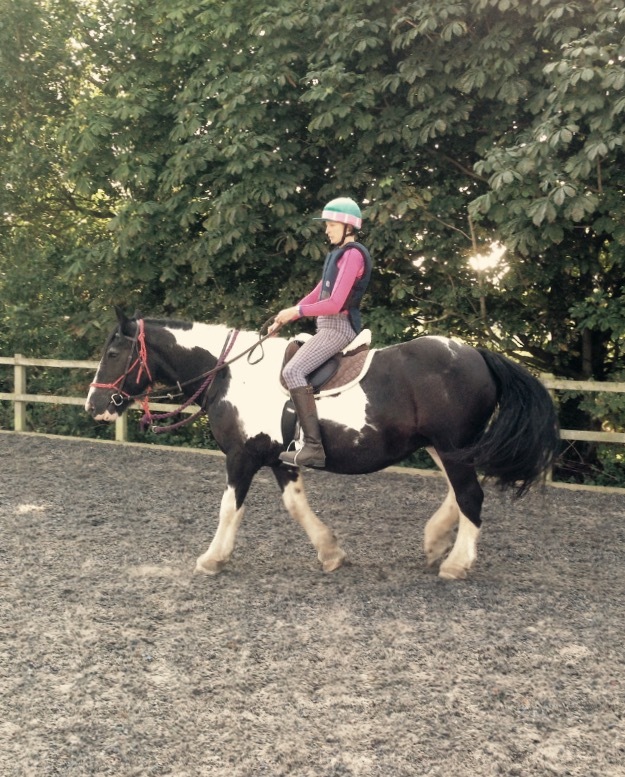 Within the year he was doing agility with a child and is now a happy ridden pony. Frodo - Fear of coloured poles. This is Frodo's initial reaction to the pole. By the end of this session he was calm and willing walking over a single pole and able to stand over it, with his front feet over the pole and the now not scary pole underneath his tummy! April & Emma - April came to Emma as being recently back and ridden away. It was clear to Emma that April had some worries about being ridden. April was re-backed by Jade & Emma. This is Emma riding April, their first time together in a outdoor arena.